Apple's iPhone 4S is getting an exclusive new update to fix the cellular performance and reliability issues the 2011 phone has been experiencing. The 6.1.1 fix was released on Monday for iPhone 4S models, and no other versions of the iPhone (or cellular iPads) will receive the update. Apple's 6.1 update, released at the end of January, added some features to the mobile OS. 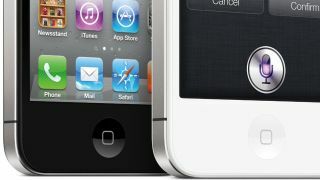 Unfortunately, it also added some problematic issues for iPhone 4S users. Thankfully, Apple was relatively quick with a comeback fix, and Monday's 6.1.1 update is hopefully just what the iDoctor ordered. The iOS 6.1 update expanded LTE offerings for international users of the iPhone 5 and newer iPads. It also gave Siri the ability to purchase movie tickets direct from Fandango, plus iTunes Match to let users download individual songs from iCloud. But iOS 6.1 wasn't all gravy - iPhone 4S users began experiencing issues with cellular data connections, especially on U.K. carrier Vodafone, which urged customers not to update at all until Apple came out with a fix. Apple's official statement on the update reads that iOS 6.1.1 "fixes an issue that could impact cellular performance and reliability for iPhone 4S." Hopefully, Vodafone users' iPhone 4S problems will be cleared up by the fix. According to CNET, some iOS 6.1 users also experienced a bug that caused issues between the iOS Mail app and Microsoft Exchange, but it's unclear if iOS 6.1.1 swept that mess up as well. TechRadar asked to Apple to find out, but the Cupertino company has not yet responded.